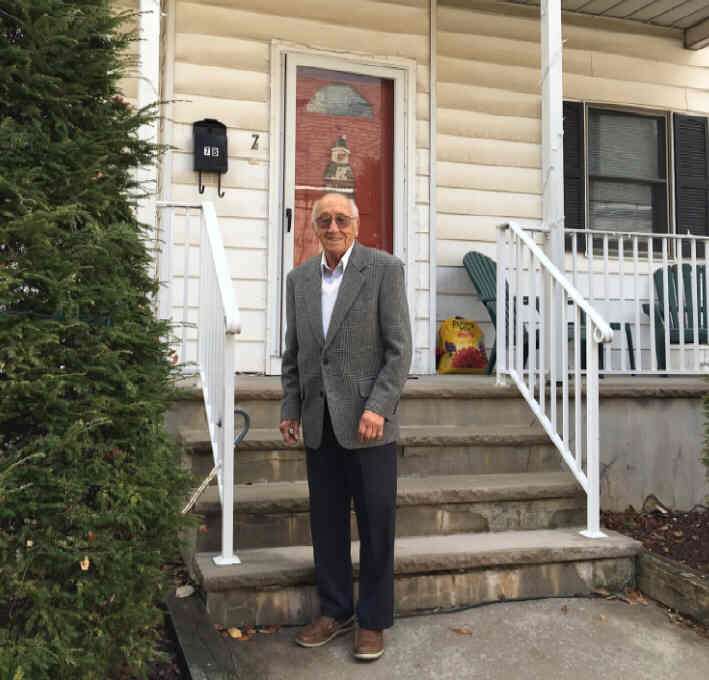 Raritan born Gene Moretti will turn 100 on January 5th 2017. Gene lived his first 11 years in Raritan before his family moved to Somerville where he still resides today. One afternoon last month Gene gave this author a tour of Raritan. There he told me what the town was like when he was a kid in the 1920s. For the first stop on our tour we park in front of 7 Doughty Street – that is the house that Gene was born in and lived in for 11 years. Gene notes that there are some differences in the home today. The outside now has some small trees in front, but in his day there were none. And sometime after they moved a second section was added to the north side of the house. A year back Gene had the opportunity to go inside his old home. He simply knocked on the door – told them that he had lived there as a kid - and they let him in. At first when inside his old home the many redesigns done over the years did not provide him any visual links to the original house, but then he went in the (still unfinished) basement and he recognized the place he once called home. the house that he once lived in. Gene remembers his neighbors quite well. The other families who lived on the street are still known in town today. Next door to the Morettis lived the Del Rocco family - Steve Del Rocco would later serve as Mayor. 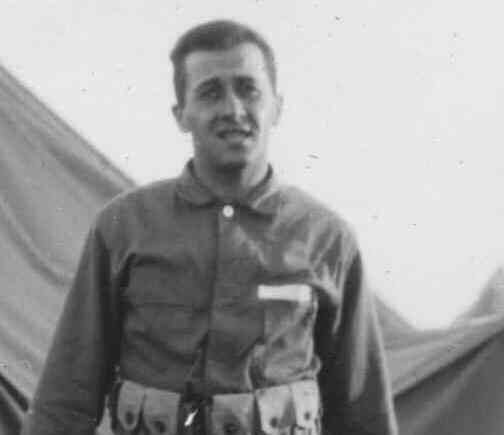 And next to them lived the Pacificos - today John Pacifico runs the Basilone Parade. Down and across the street he remembers that one building was the “Corona Meat Market”. Today Monsignor Corona serves at St. Ann’s Church. Church was being constructed . 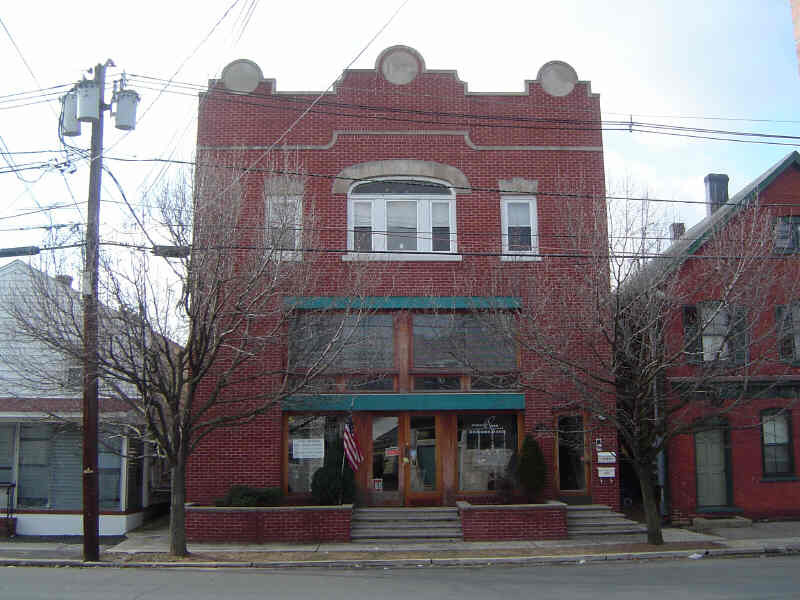 As we move away from his old house and drive around the corner to Raritan’s main street he points out that there was a “Mom and Pop” grocery store on the corner of Doughty and Somerset Street where the pharmacy is today. That store was a regular stop for the Moretti family. 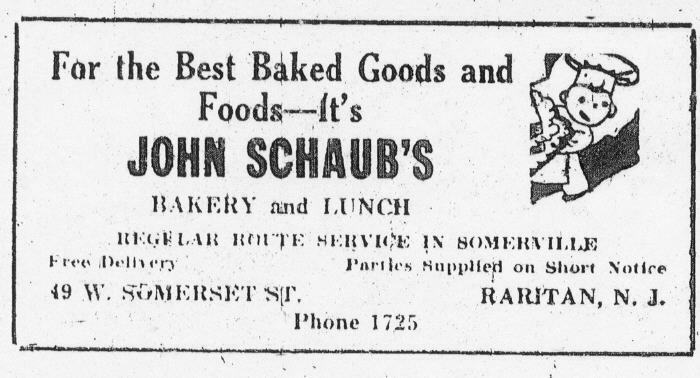 A block west on Somerset Street was a popular business - The Schaub Bakery. (It is still a bakery today - the Raritan Pastry Shop). Gene said that the bakery did a tremendous volume of business each day. He remembers the bakery would sell at a discount any baked goods that they had not sold the day before. The deal was that a customer could blindly buy a bag of assorted baked goods for 15 cents. In this era of scarcity, the public embraced this “pot luck” special as people would often line up outside the bakery when it first opened for this deal. Further down on the north-east corner of Somerset and Wall Street was Gene’s favorite store – “Raritan’s Candy Kitchen”. When asked how often he would go there, he responded “anytime you had a nickel”. As we drive up Wall Street towards today’s Municipal Building Gene remarks this was the route that he walked to school. 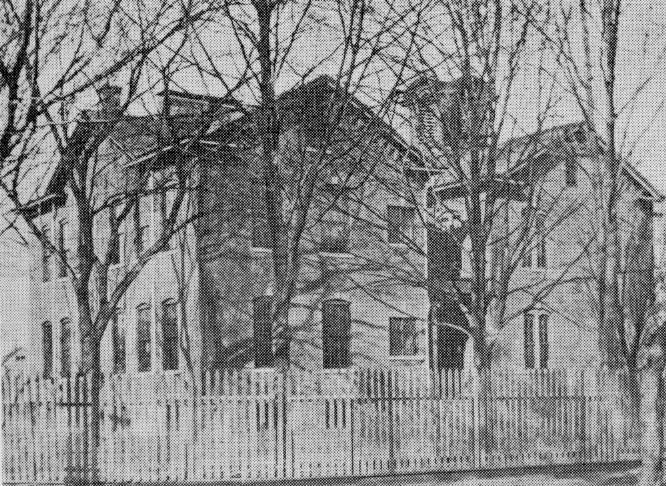 The public school that he attended was where the Municipal Building is now located. Young kids back then walked to school by themselves or with other young kids. Today this would generate calls to Child Services to have the parents arrested. On our ride this author learns that Gene was classmates with John Basilone in the second grade. Raritan had previously thought that Basilone’s last classmate had passed away a few years ago. 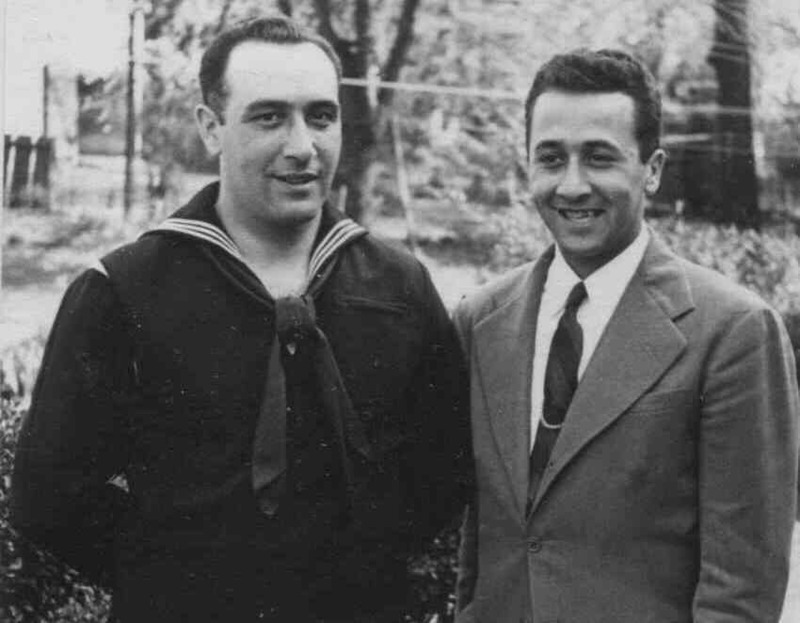 When asked how much he hung out with John Basilone Gene says that while he was not close friends, in many instances he and Basilone hung out in the same group of boys. That group often would buy one apple together and then pass it around for each boy to take a bite. Another stop we make is at 23 Anderson Street. Today it is a frame shop called “Frame Me”, but this same building was once a silent movie theatre that Gene attended as a young boy. It was called “The Empire Theatre”, but was nicknamed “The Madhouse” for the rowdy behavior displayed by the kids. As we enter the building the present owner Pat, who has always embraced his building’s history, greets us warmly. Gene points outs where the piano player once sat 90 years ago. Pat surprising responds that he had met that woman. For when Pat first bought the building decades ago an older woman stopped in to say hello and tell him that she had played the piano at the silent movies. Gene lets us know that there was no snack bar at the theater. The only way to get a drink was from the bathroom sink that had a tin cup tendered to the wall by a chain – how refreshing. As we move through Raritan Gene enlightens me as to the location of a now forgotten tennis court. Between the row houses on First Avenue and Church Street was a Tennis Court. Gene, after moving to nearby Somerville, often came back to Raritan as a teenager to play tennis with his best friend Alfred Zanoni. 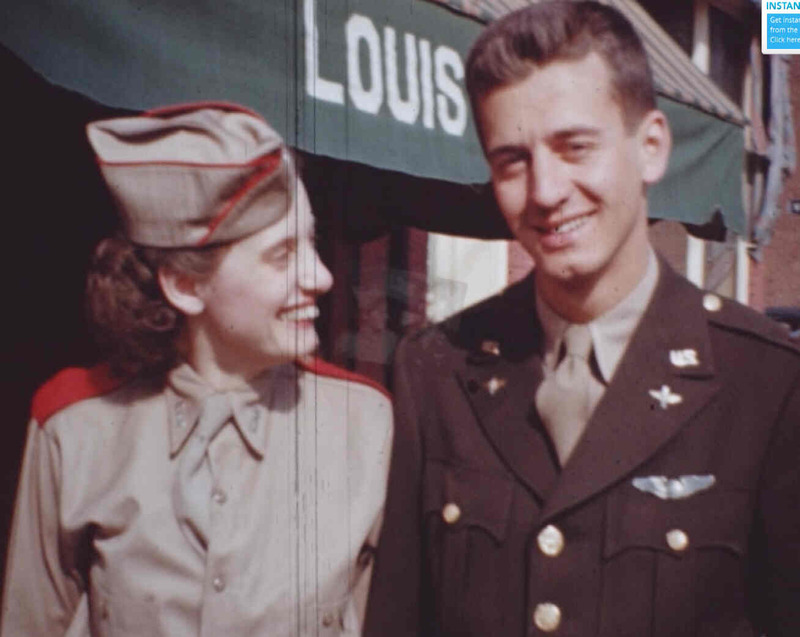 Tragically Alfred Zanoni would later give his life for his country in World War II. As a memento of his friendship with Alfred, Gene has saved Alfred’s Tennis Racket. While that racket is broken, the memories are intact. Our final stop is inside the Raritan Municipal Building. For there on the second floor is Raritan’s Wall of Heroes – a tribute wall that has photos of all the Raritan Men who died defending our country in wartime. 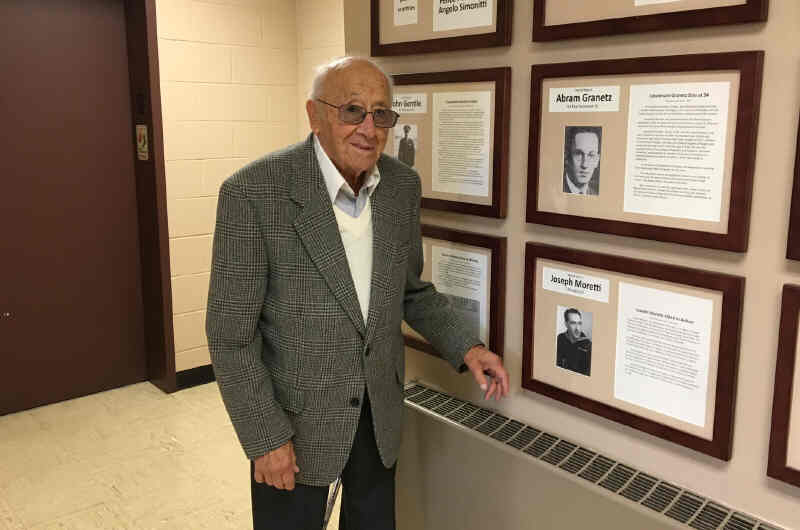 On this wall is not only Gene’s friend Alfred Zanoni, but Gene’s Brother Joseph who was killed in World War II when a kamikaze plane hit his ship. We conclude our day by taking a photo of Gene in front of his brother’s picture. It was indeed an interesting tour. The Breeze and this author would like to thank Gene Moretti for sharing his story - both the fond memories and the painful memories. Happy 100th Birthday Gene Moretti. Click to read that article.